Farm to City is a small business based in Center City Philadelphia. Bob Pierson is founder and director. The farmer's market program manager is Matt Weiss, our controller is Danie Greenwell, our Farm Share program manager is Kristin Mulvenna; and our Winter Harvest quality control manager is Raffaella Pierson. Tom Javian is the software developer and webmaster. In 2012, Farm to City will operate 16 farmers' markets including 12 established markets, 2 existing markets in new locations, and two new markets. The following list also includes an affiliate farm stand operated by the West Girard Community Council and a former affiliate market in Havertown. In addition to a wide variety of fruits and vegetables, many of the markets feature meat, poultry, eggs, and dairy products from pastured animals. 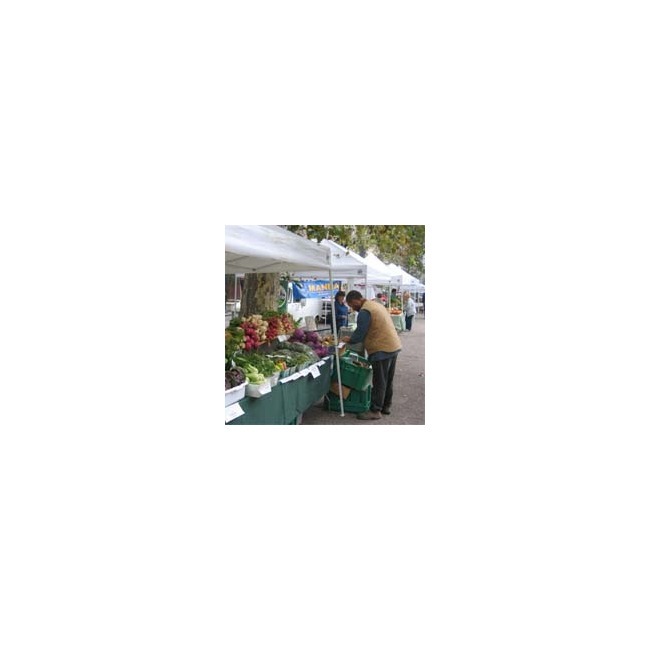 Go to the glossary of important terms used at farmers' markets. 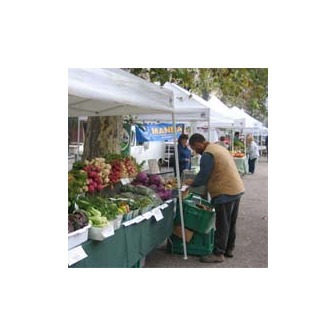 Most of the farmers at our markets do accept Farmers' Market Nutrition Program paper vouchers, issued to seniors or WIC recipients; please check with individual farmer(s) at each market, because each farmer must apply to the Pennsylvania Department of Agriculture to be eligible to accept these paper checks. SOME FARMS AT OUR MARKETS NOW ACCEPT EBT(SNAP), CREDIT, AND DEBIT CARDS. Farm to City, with its partner the Reading Terminal Market Corporation, was awarded a USDA grant to purchase remote terminals for use by farmers at our markets and those operated by our partners. These terminals will enable our farmers to accept SNAP, debit, and credit cards. The farmers who will be able to accept payment with these cards are listed in blue below, by market.